Blue Mountains Life is the region No.1 magazine. This issue features articles on FOOD Week, the recent bushfires, visiting group from Africa, cooking chef Tony Sharpe, and ANZAC author from Orange, NSW. 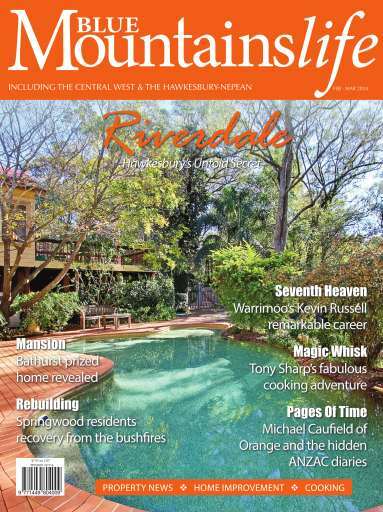 Also include is our special features on home improvements, Richmond, travel and motoring.